This well-established practice has served the Cheshire community from its current location since 1977 and is a recognised healthcare provider for most major health insurance companies. Comprising two highly experienced qualified practitioners and two dedicated administrators, the practice provides a professional service to those suffering from a wide variety of mechanical musculo-skeletal conditions, both of the spine and of peripheral joints. Both practitioners hold qualifications in 1st response First Aid. Frequently the presenting symptoms are sciatica, low back pain, joint pain, headache, tendonitis, tennis elbow and sports injuries. Enjoying an excellent relationship with other local, trusted healthcare specialists outside the field of osteopathy, any necessary onward private referrals such as for X-ray or MRI scans can be quickly and conveniently arranged ensuring the prompt and appropriate treatment of your condition. As with all registrants of the General Osteopathic Council we keenly fulfil our obligations towards continuing professional development. Treatment and consultation is by appointment Monday to Friday, 8.00am to 5.30pm, however emergency cover is provided outside normal surgery hours to existing patients. Initially, please telephone Beverley or Alison on 01625 530977 or click on our "contact us" link at the top of this page. 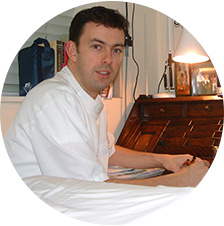 Andrew qualified in 1977 from the British School of Osteopathy in London and has been in continuous practice dealing with all manners of musculo-skeletal conditions, specialising in acute traumatic injuries. He has had a keen interest in osteopathic education, having lectured in London and Paris. He has examined both under-graduate and post-graduate osteopathic practitioners in the UK and on the Continent. He is a member of the Manchester Medical society. 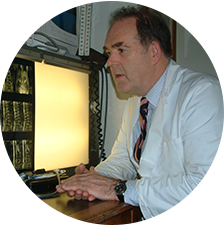 He has extensive experience in osteopathico-legal matters and is an accredited expert witness for civil and criminal issues. He gained a 1st class Honours degree in Law in 2008 to further develop his legal knowledge base. He is an enrolled member of the Middle Temple Inn of court and has served 8 years on the 'Fitness to Practise' panel of the General Osteopathic Council. He also serves as Magistrate in Cheshire and Merseyside. He is fully qualified as a First Aid Responder and has an up to date certificate. 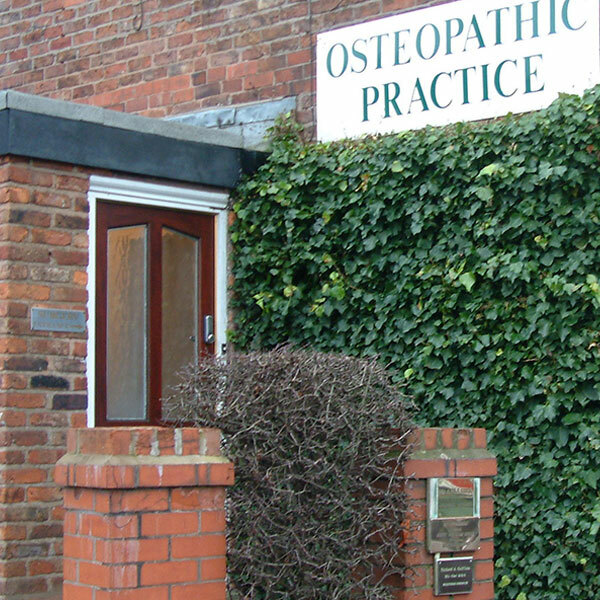 Richard qualified in 1992 from the British School of Osteopathy in London and has been in private practice since then at the Wilmslow surgery. He is also a North West Regional Careers Officer for the British School of Osteopathy and is involved in post-graduate education at a local level. He is the treasurer of the South Manchester Osteopathic Group. As such he attends the bi-annual regional representatives meeting at the London headquarters of the General Osteopathic Council to discuss matters such as re-validation of the profession and contining professional development. He has a specific interest in management and treatment of both cervical and lumbar conditions and as a keen cyclist naturally has an interest in sports related injuries.